Notice how simply it works. You sit down at your sewing: machine and turn an electric switch. Then you place your foot on the treadle and press lightly. The sewing machine starts. As you increase your foot pressure, the sewing machine speeds up as fast as you care to sew. 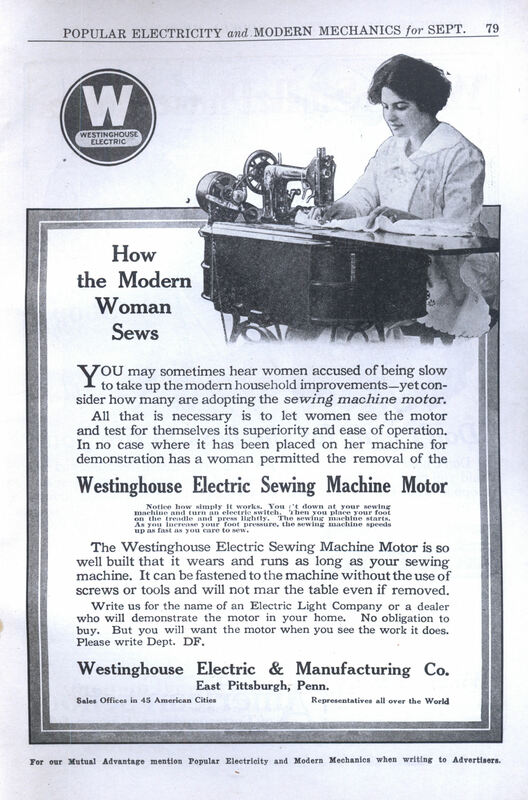 The Westinghouse Electric Sewing Machine Motor is so well built that it wears and runs as long as your sewing machine. It can be fastened to the machine without the use of screws or tools and will not mar the table even if removed. Write us for the name of an Electric Light Company or a dealer who will demonstrate the motor in your home. No obligation to buy. But you will want the motor when you see the work it does. Please write Dept. DF. 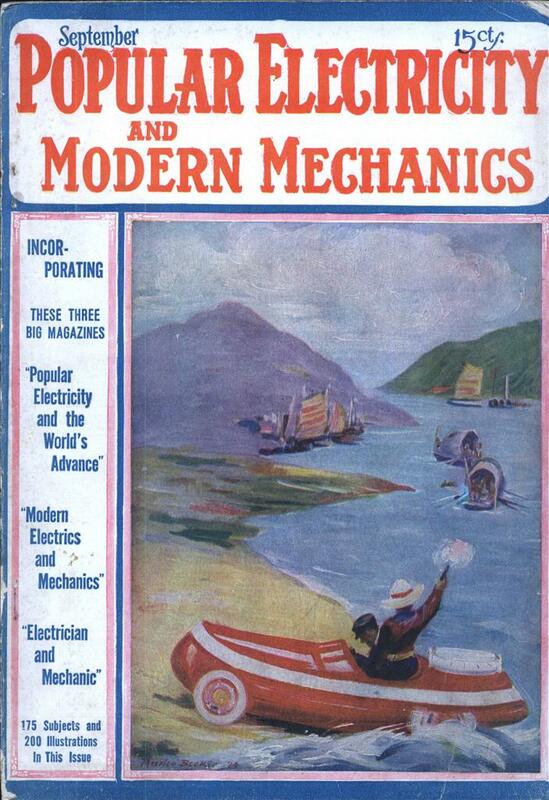 For our Mutual Advantage mention Popular Electricity and Modern Mechanics when writing to Advertisers.